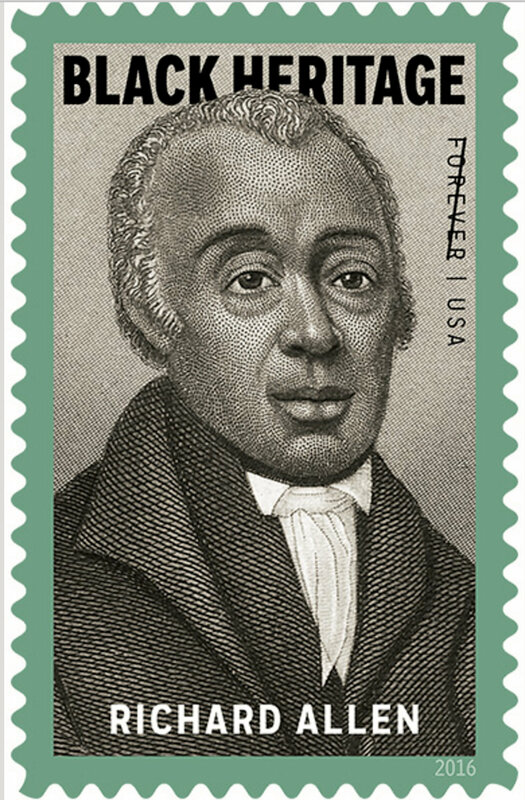 St James AME Church, Elgin, Illinois - Buy your Richard Allen Stamp BEFORE SEPTEMBER 30! Buy your Richard Allen Stamp BEFORE SEPTEMBER 30! Home » News » Church News » Buy your Richard Allen Stamp BEFORE SEPTEMBER 30! UNSOLD RICHARD ALLEN STAMPS WILL BE DESTROYED ON SEPTEMBER 30! BUY YOURS TODAY! Earlier this summer the Social Action Commission sent an update on the Richard Allen Stamp. We can confirm that SEPTEMBER 30 is the FINAL DAY that Richard Allen Stamps will be available to the public for purchase. ALL ORDERS MUST BE MADE BY THE CLOSE OF THE BUSINESS DAY ON SEPTEMBER 30! We are currently negotiating with the USPS for another bulk purchase similar to what was done during the General Board Session in June and will provide updates as able. Discussion: Buy your Richard Allen Stamp BEFORE SEPTEMBER 30!